DEWALT's 1/4 Sheet Palm Grip Sander features a 2.4 amp motor that can sand at 14,000 OPM, providing a superior finish, as well as a textured anti-slip top and body grip that provides ultimate comfort and control during use. 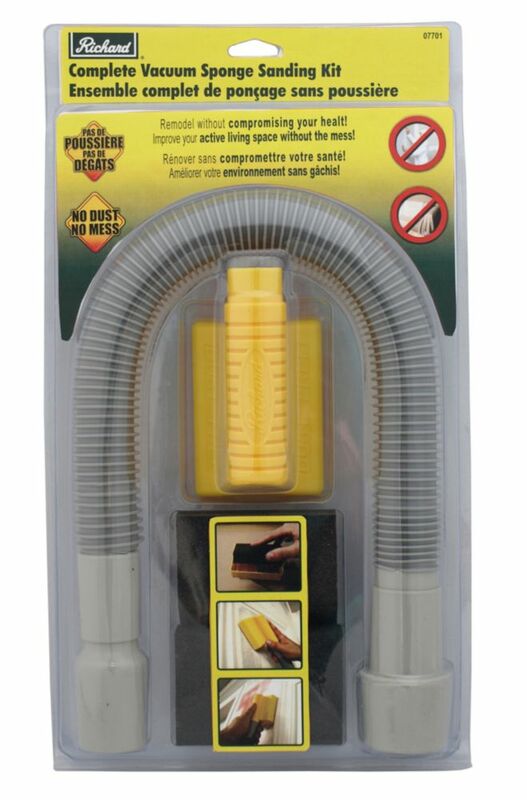 Its sealed 100% ball-bearing construction provides longer life, and high-capacity dust bag with built-in vacuum adapter provides maximum dust collection -- with or without vacuum. A dual plane counter-balanced low-vibration design also reduces user fatigue. Mini Vacuum Sponge Sander Kit is rated 5.0 out of 5 by 1. Rated 5 out of 5 by Lili from Big help for dust free drywall sanding. I couldn't imagine that sanding the drywall can be an easy job. With the right tools, it is!